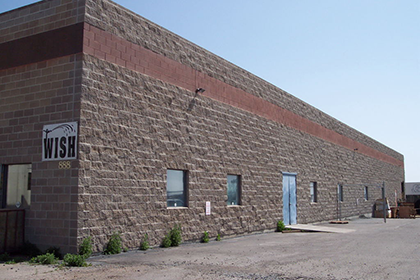 Western Irrigation Supply House, Inc. (WISH), has been serving the needs of the agricultural irrigation community in the Central Plains since 1975. 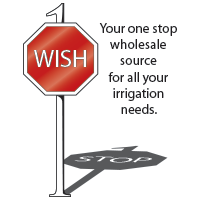 We specialize exclusively in wholesale distribution of quality irrigation supplies. Over the years, due to the steadfast and loyal support of our customers, WISH has grown into a premier irrigation supply center, with a large and diverse product offering for agriculture, commercial, industrial and residential applications. If your product needs include accessories for pump, pipeline, pivot, sideroll, solid set, turf, or micro irrigation, there’s a good chance that we inventory and can supply the products that address your needs. Presently, WISH represents over 100 of the top manufacturers and suppliers in the industry, whose products we distribute throughout Colorado , Wyoming , and portions of Nebraska and Kansas . Primarily these products enter the market through WISH’s qualified network of dealer customers who then resell to the ultimate consumer – the grower. Under no circumstances are sales made direct to the grower, farmer or producer by WISH. In areas where market conditions necessitate and dealer conflicts do not exist, products may be distributed direct to manufacturers, municipalities and institutions. At WISH, our primary goal is to daily earn your business by enhancing your position in the market. We have a strong commitment to the future of irrigation and are continuously expanding our knowledge, inventory, and services. Please keep us advised on what we can do to assist you in your efforts. We genuinely appreciate and thank you for your business. Dealers are invited to visit when in the area. During your visit, we would like to give you a personalized tour of WISH’s facility and your product selection. Also, we would like for you to meet everyone at WISH who works daily to earn your business. If you have time, we would like to visit with you about ways in which we can work together in helping you grow your business.